Lawn Care - Gro-Pro Horticulture Services, Inc.
No blanket treatments or one-size-fits-all strategies with us. Gro-Pro modifies the nutrients, mixture and timing of our applications based on your lawn’s seasonal and unique conditions. Our personalized approach eliminates weeds, supports root health, and promotes new growth for a thriving, robust, lush lawn. Weeds can run rampant throughout your property, depriving your grass and plants of much-needed nutrients. Gro-Pro’s weed control treatments are uniquely designed to safely eliminate unwanted growth all year long yet still promote the health of your lawn and beds. Gro-Pro’s experienced technicians apply a pre and post-emergent to control existing winter weeds and prevent spring weeds from taking root. Spring is just around the corner, and we are ready! This treatment includes pre and post-emergent, slow release fertilizer and soil amendments to promote growth and support color when things begin to bloom. The warmer temperatures mean it’s time for slow release fertilizer, herbicides, and nutrients that will feed and strengthen your root systems. Gro-Pro will even spot treat weeds to keep your lawn healthy and strong. 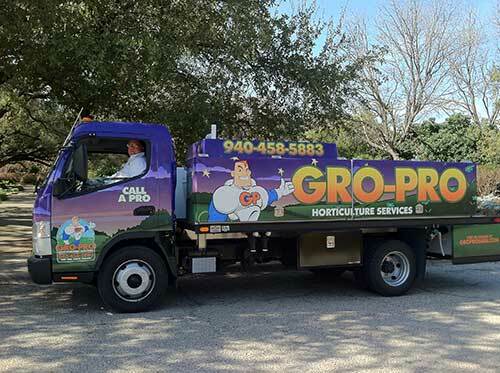 Gro-Pro’s professional technicians fertilize and nourish the soil to increase your property’s strength and ability to ward off sicknesses and disease. Gro-Pro uses a slow release fertilizer for your grass and nutrients to ensure root growth. We also spot treat for weeds. Our technicians inspect and report back any disease or insect problems detected. Our end of summer application includes pre and post-emergent, slow release fertilizer, and nutrients that help fight off drought conditions as well as control fall and winter weeds. Gro-Pro fertilizes and feeds your property’s soil to prepare it for the cooler temperatures. We’ll also apply nutrients to the root system to ward off weeds. Now is the perfect time to apply soil nutrients and prep your property for winter conditions, stresses, and any stubborn seasonal weeds. At Gro-Pro, customer service excellence is always our top priority. Our crews are professional, honest and respectful. Communication is paramount with our team! Most importantly, at Gro-Pro, we stand behind our work. We guarantee every treatment, service, and application. If you’re not completely satisfied, contact our team. 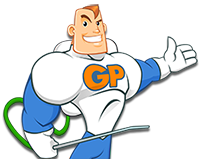 Gro-Pro will retreat your property until we achieve the results expected.